Anyone whose business features an internet presence in some way has probably heard of SEO, or “search engine optimization,” at some point. With all the other concerns that come with keeping a company up and running, though, it is easy to let SEO fall by the wayside. In the private sector in the 21st century, though, neglecting SEO is not an option. With a generation of digital natives joining the consumer spending economy, taking the top search engine spot for your industry keywords is the difference between leading the pack and playing catch-up. From a dollars-and-cents perspective, robust SEO translates into conversion numbers fed in from web traffic. To get a sense of the scale at stake, Google users are submitting 40,000 searches per second or 3.5 billion searches per day. And with Google searches making up 93% of all real search traffic (i.e. submitted by humans rather than bots), those are numbers you can’t afford to leave out of your online strategy. This makes an even bigger impact for e-commerce: When it comes to e-commerce sites, among our clients we have observed that at least 30% of their revenue originates with organic search. At the same time as SEO has become more critical to businesses online, the task of leveraging SEO has also taken on new dimensions. The days of stuffing keywords on a page and buying links are long gone, and with the average number of pages to a site in many cases growing into the thousands, this multiplies the effort required. There is a lot to manage when considering a comprehensive SEO plan, but there are a few SEO basics that you can start within your organization regardless of experience level. There are a lot of competing definitions on the web for SEO, but in essence, it is the practice of optimizing a website so users can find it when searching for relevant keywords using a search engine. SEO is no longer about including as many links as you can find but about building the best content experience for your target audience. In other words, SEO is about making your site the best answer to the question users enter into the search engine. This is a significant pivot away from what SEO has been for a long time, and part of what makes our approach unique. We believe that SEO success comes from providing users with rich and relevant content at every step of your online experience, rather than from skewing page content to game algorithms. In essence, next-generation SEO is fundamentally content marketing or, rather, solid content marketing creates good SEO. So where do search engines come into the picture? In its primitive early days, Google’s search engine surfaced pages purely on the number of times a search term appeared on a page and the number of links to and from that page. Since then, Google has developed a massive web-crawling infrastructure and finely tuned search algorithm to return much more intuitive matches to queries. Keyword matching and links haven’t been thrown out completely, and keyword research is still an important ingredient to SEO, but they are now supplemented by analysis of other HTML elements, synonym matching, UI layout, content type and much more. The scale and complexity of Google’s operation is now so massive that an estimated 500 to 600 changes are made to Google’s search algorithm every year. This massive expansion in scope is all in pursuit of returning the most valuable information for addressing every user’s intent. 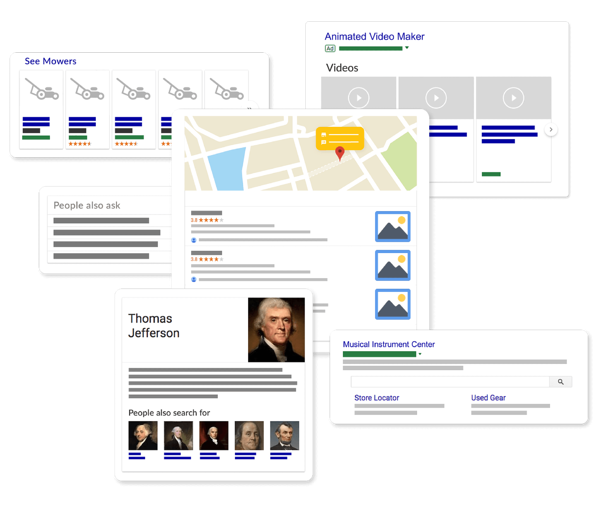 In fact, this focus on the user is what drove Google to offer a range of services beyond search such as Gmail, Google Maps, Google Drive, YouTube and much more: With every service, Google can answer a user’s questions that much more accurately. The inner workings of their algorithm are not all that Google has changed. The search engine results page, or “SERP,” has adapted with the algorithm. As even novice internet users now come to expect, Google has always strived to place the most relevant result at the top of the search results, but their modern SERP does so much more. Relevance, and therefore placement, is now also determined by the context in which Google locates query keywords, and spot-on matches are even given specialized content boxes inline or to the right of ranked query results. Once you answer this question, then it’s time to factor that answer into the nuts and bolts of your page. Scan through your page and make sure your meta tags, title tags and heading tags (H1, H2, etc.) are filled with content that answers your question. To simplify your approach to SEO, here's a handy acronym, URA, which is the framework for the Search Experience Optimization. This covers everything from structuring your HTML elements to reinforce user search relevance to making sure your page loads quickly, can be crawled, is mobile-optimized and has an intuitive hierarchy. Be sure to clean up any lurking 404 errors or indexing mismatches, too, as this shows attention to detail and prevents the disruption of the site experience. How do you put this into action? Refine your user experience and site performance. Reassess how the site looks and behaves. Is it easy to navigate around? Does it look legitimate or trustworthy? Would users who find the page stick around? Does the site load quickly and work properly? If the answer to any of these questions is “no,” there is still work to be done. This angle is what we call technical SEO. Tighten up your content. Effective modern SEO will always return to content and the value of that content. Scour every blurb and make sure that it is all crafted with relevance to the user in mind. Research what topics your target audience searches, and create content to be relevant for every cluster around that topic. 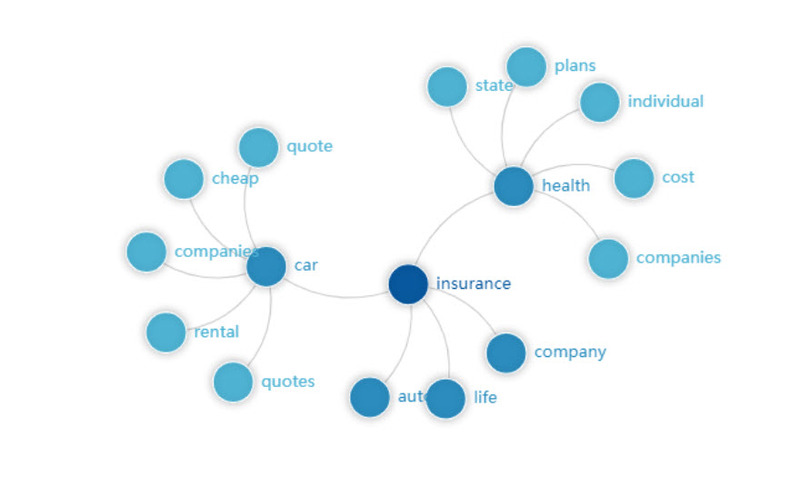 For instance, if you are an insurance company, here’s an expand view of creating content for every cluster of what your audience searches for. Be an authority. Is the content useful enough to link to? Do other authoritative sites use that website as a reference or citation? You want the answer to be “yes” as much of the time as possible, and having even a handful of pages that achieve this will give your site a lot of traction. This is probably evident by now, but it bears repeating: There is no SEO without attention to content. Here are some basic steps you can implement to take your content to the next level. This starts with writing great page titles and extends to meta descriptions. The first line of content your audience sees is also a top consideration for search engines, so effort should be invested accordingly. Feature catchy and clickable headlines and page titles, and rich meta descriptions, that accurately describe what the page is about. This also helps social media shareability - both right from the page or through viral posts within the different social media sites. All of this should be viewed from a perspective that makes your information actionable--if your content doesn’t drive user decisions or outcomes, its value is limited. Every word should be directed at the target audience’s search intent. If a query is transactional, make sure the page explicitly and easily enables that transaction. If a search query is informational, this usually requires a blog post type of format that includes the informative content that your reader would want, with links to any supplemental material. Keep a close eye on content length. Present content with variable length. Sometimes a high word count is best, and sometimes it’s not. The right approach is the one that best addresses user search intent, and meets the need that led them to the site in the first place. Have you provided all the information about the product they could possibly need to make the decision to move forward? If not, you leave the door open for them to return to the SERP and turn their attention somewhere else, losing a potential conversion. Ensure that your content is viewable, and maintaining a smooth UX, on a small screen. With an ever-expanding share of web visits coming from mobile, the mobile experience has to be considered, and polished, from day one. Publish original research studies, statistics, user-generated content and anything else that reinforces your authority and credibility as an online resource. This invites others to link to you, rewarding you not only with a better search ranking but organic referrals via links. Another way to give a page authority is to create topic clusters around this pillar topic with powerful anchor text with thoughtful internal linking strategy. SEO is not something you can grow overnight, and this is especially true the larger your organization is. This shouldn’t stop you from getting started, though. It just means starting simpler and letting constructive SEO habits take hold a little at a time, building up credit and credibility within your organization. Here are ways you can plant and nurture SEO within your organization, regardless of size. Simplify: How you think about SEO matters. It’s important to start by making the paradigm shift from focusing on search engines to focusing on users, and once you make it, user-centric SEO outcomes will slowly but surely follow. This can be accelerated by letting this philosophy guide interdepartmental work and devising of business goals. Once everyone is front-loading customer experience, SEO starts to permeate your online presence. Structure: After making the above transition, how you then approach the hard work of doing SEO matters. 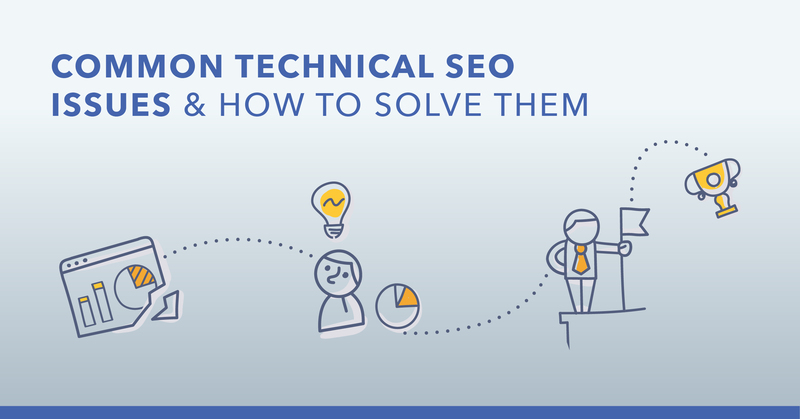 This means charting out a roadmap of how to roll out your SEO strategy and create a clear vision of what bases need covering for every page that goes up, every process you implement, and every team that makes changes on your site. Scale: Finally, how you accelerate SEO matters. User- and content-focused SEO and content structure maps set the stage for implementation, which depends on synchronized efforts across teams. This requires every team working from a single source of truth. This includes a technology, an SEO platform, that provides reliable data-driven insights for the team to implement that user-focused content with ease, check the user experience and site health, and access to the KPIs and metrics to implement consistent and repeatable SEO success that allows them to scale their efforts. Focus on your user's experience instead of the search engines algorithms. The search engines' goal is to deliver the best experience for their users. Enable them to leverage your content by doing the same! Simplify your approach to SEO with the Search Experience Frameworks - Usability, Relevance, and Authority. Once your team is structured with the end-user in mind, ensure all teams are aligned around the data and metrics that serve as the single source of truth. Leverage data-driven insights to scale your SEO success with consistent results. 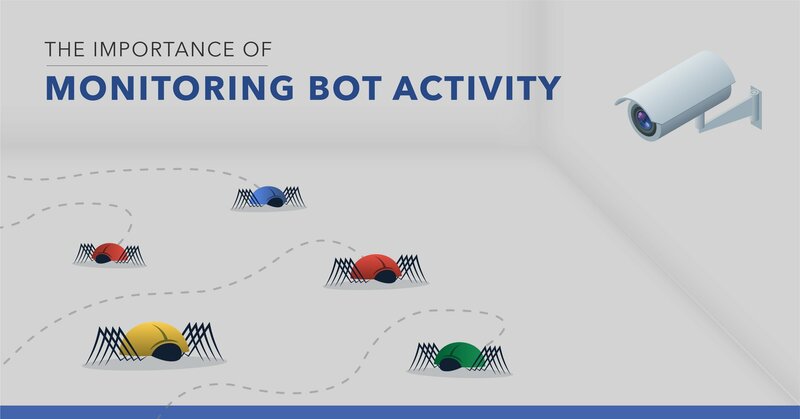 Bot Activity: What is It? Why Is It Important to Monitor?